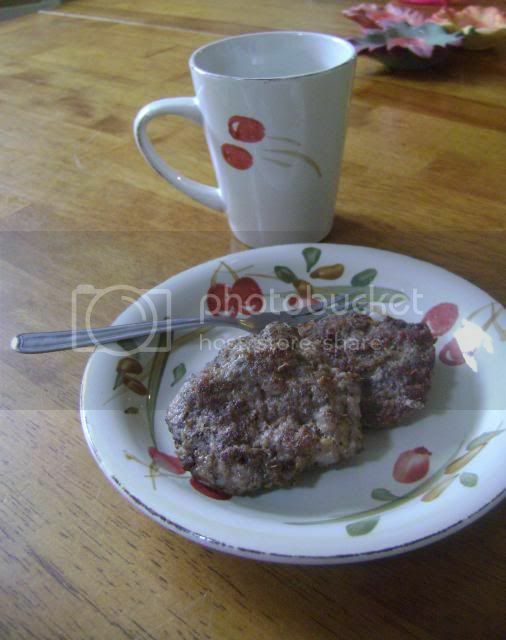 It's easy to make your own breakfast sausage with ground pork and just a handful of spices. No extra fillers! 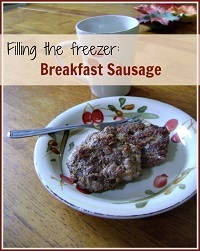 It's easy to make your own breakfast sausage! You don't have to be concerned about fillers and hard-to-pronounce ingredients. And it's versatile - just change a few seasonings and you have a different flavor. Like your sausage spicy? Add some red pepper flakes. Like it sweet? Add some maple syrup. The first thing you'll want to do is gather your seasonings. For a simple breakfast sausage you'll want some fennel, thyme, pepper, sage, ground nutmeg, and salt. Grind the fennel in a coffee or spice grinder - you want a coarse powder with some pieces of fennel still noticeable. Mix all the spices together in a small bowl and set aside. Put 3 pounds of ground, unseasoned pork in a large bowl and crumble it up a bit. Pour the spices over the top and gently mix them in. That's it! Make it into small patties or links and leave a bit aside to cook into crumbles if you like. I like to use a 1/4 cup measuring cup to get them all about the same size. Once you've finished making the patties, fry them in an ungreased nonstick skillet. 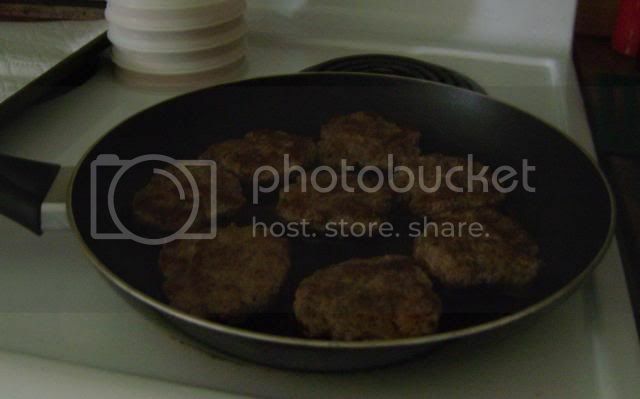 I use a large 12-inch skillet so I can fit about 8 patties comfortably. Leave some space so they have room to cook evenly. After you've cooked them 5-7 minutes per side (depending on thickness), transfer to a paper towel lined cookie sheet to catch the excess grease. Another option is to bake them in the oven. I like to use a broiler pan so the excess grease drains off. Cook at 375 until the internal temperature is 160. After you've cooked all the sausage, let them cool before placing on a cookie sheet and flash freezing. Once frozen, transfer to a freezer container. To reheat, use the microwave (a minute or two) or reheat on low in a frying pan. Trim Healthy Mama notes: Depending on the type of ground pork you use these can be S or E. If you use regular ground pork then the fat content falls into S territory. If you choose extra lean ground pork these could be used in an E or FP setting. Just be cautious of cooking time as extra lean ground pork can taste very dry if overcooked. Process the fennel seeds in a coffee or spice grinder until powdered. Combine the spices. Crumble the pork into a large bowl and sprinkle with the mixture of spices. Using hands, gently mix and shape into small patties (using a 1/4 cup measuring cup). Fry the sausage in a 12-inch nonstick skillet over medium heat, cooking 5-7 minutes per side (or until cooked to an internal temperature of 160).